Smile and NIB give you more reason to smile and take care of your oral health. You will be able to save up to 40% on your dental fees with a guaranteed minimum saving of 15% on all dental treatments performed by any Smile-approved dentist in Australia. As a member of both NIB and Smile, you will receive your applicable rebate at the end of your dental appointment, which will reduce or may eliminate your out-of-pocket expenses. With NIB and Smile, members will also be able to receive more treatment within their benefit limits. Present your Card to swipe through HICAPS to receive your rebate. At United Smiles, We’ve Got You Covered! 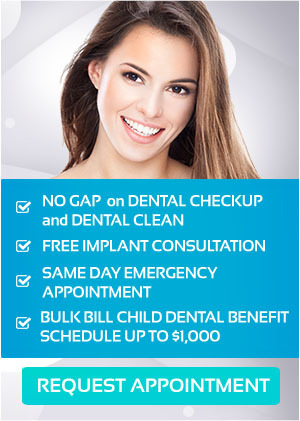 United Smiles are Smile.com.au approved dentists that meet and maintain rigorous quality assurance standards. You can be certain that you get the best care from our authorised Smile dentists. Save up to 40% on your dental fees when you visit us at United Smiles. With NIB and Smile dentist health fund covers, there are no waiting periods and benefit limits as well as treatment exclusions or pre-existing condition exclusions. For more information, contact United Smiles on (03) 8682 8658.